Bsetec has added a new theme titled Smart Group in Free Dolphin 7.1.1 Category. 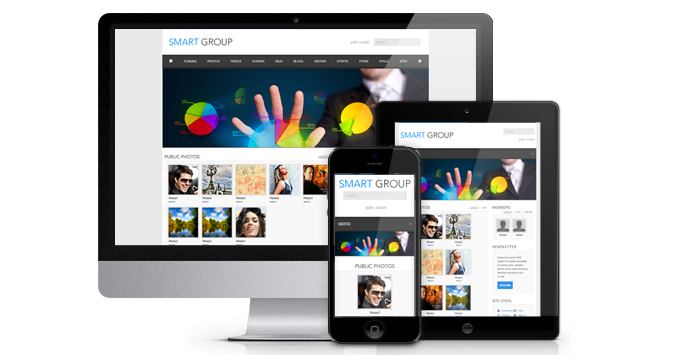 Smart Group Dolphin template can be the perfect portal to sum up all the events in your smart group. Responsive layout style is designed to make you relish the site without the annoyances of scrolling and zooming. Take benefit of this simple yet imposing template functionality to build an unbelievable social platform.